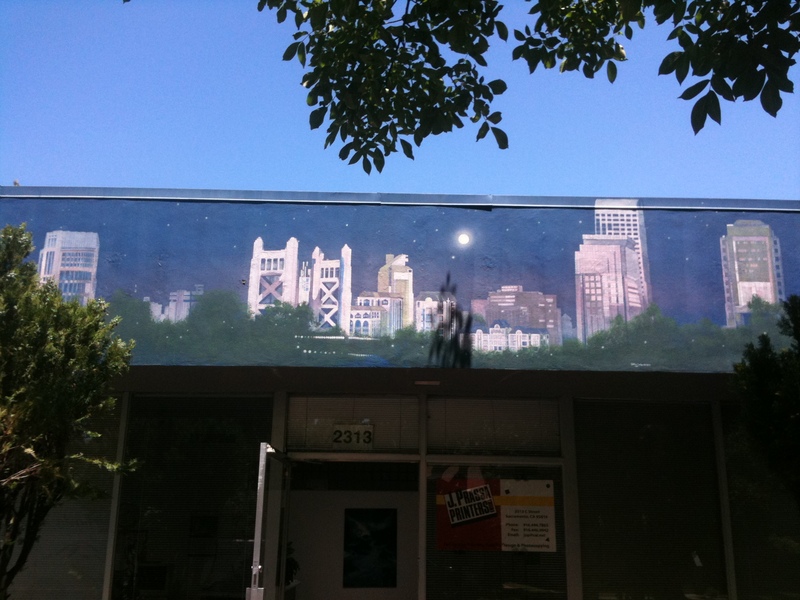 A mural of the Sacramento skyline with evening stars and a bright moon welcomes customers entering the local printing business, J. Prassa Printers. 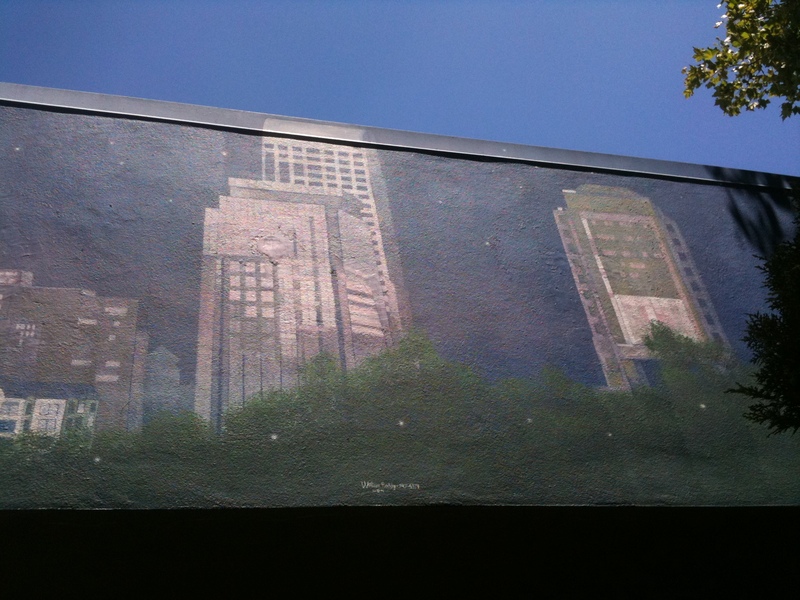 The mural was painted by William Boddy in 2004 (1). 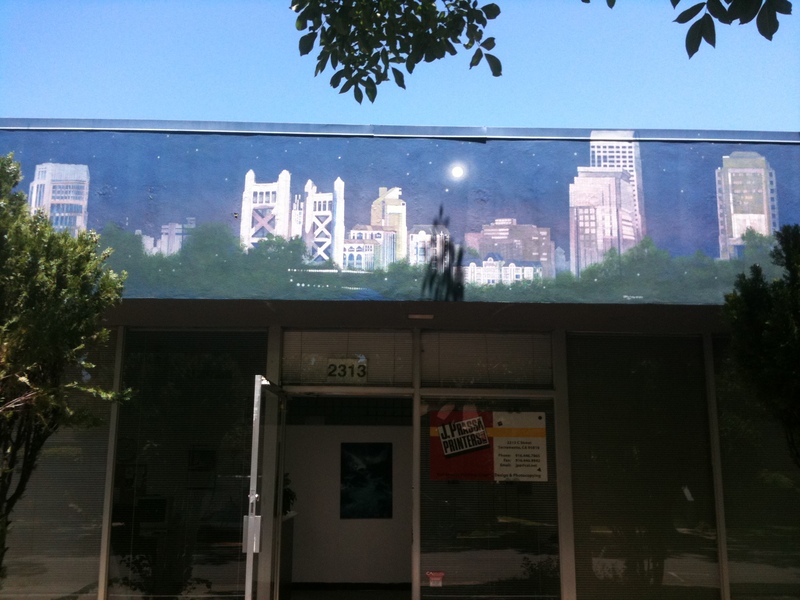 Boddy had his studio in Sacramento for some years and painted numerous murals around town including: the lobby of Cal Farm Insurance, a skating rink, and a dive shop (2). Boddy now resides in Salida Colorado. 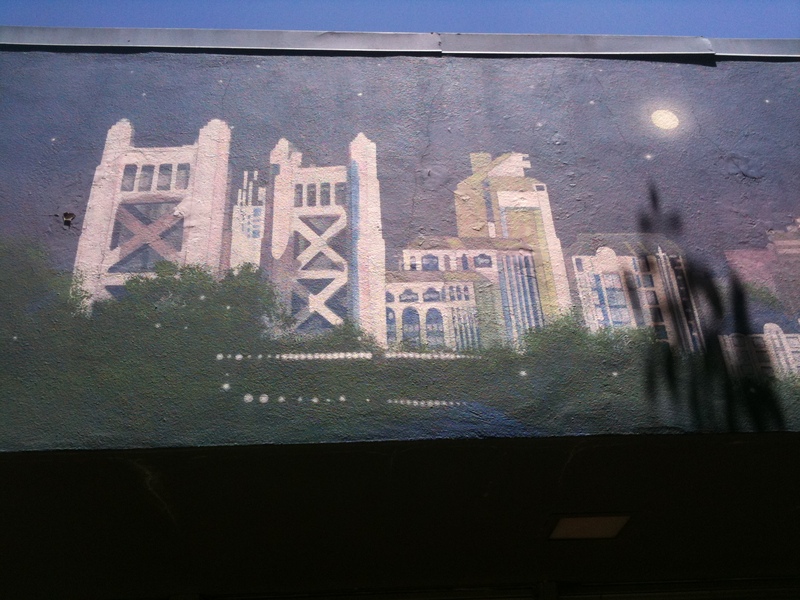 J. Prassa has been a local Sacramento business for 30 years. They use sustainable practices including using only soy based inks and their paper stock includes 100% Post-Consumer Waste paper (3).